TALLAHASSEE, Fla. — A survey at the start of hurricane season reveals that just six months after the punishing 2017 season battered the Sunshine State, most Floridians are still not prepared for the potential assault of another hurricane season. The survey by the FAIR Foundation, conducted just days after Subtropical Storm Alberto rattled nerves across the state, found that more than three-quarters of Floridians expressed concern about potential hurricanes this year – yet only half have reviewed their home insurance policies to be sure they’re covered. The survey launched on June 1, the first day of this year’s hurricane season and a week after Alberto drenched the Florida Panhandle. Though forecasters and former FEMA Administrator and host of Get Ready, Florida! Craig Fugate predict that this year may be another hyperactive storm season, the survey of 1,000 Floridians found that 76% feel very or somewhat concerned about the new hurricane season. Only 5% said they are not at all concerned. The most recent survey also found that Floridians are more focused on their safety and comfort at home following a significant storm event, further emphasizing the need for home hardening and other preparations. Asked which conveniences they would choose to have in the four days following a hurricane, most chose a refrigerator (74%) over a fully charged cell phone (26%) and air conditioning (77%) over a fully charged cell phone (23%). An even larger majority would prefer internet access (83%) rather than cable television access (17%) – and that sentiment runs strongly through all age groups, from 92% among millennials to 88% among those ages 35-54 and 74% among those ages 55 and older. The FAIR Foundation urges Florida residents to prepare well in advance for the unknown. The Florida-based organization works to educate and empower consumers, promote wind and flood mitigation, and reduce uninsured risk. 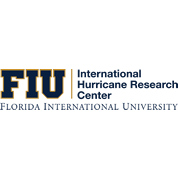 Toward that objective, the FAIR Foundation commissioned a separate survey in December for the National Hurricane Survival Initiative, which found that 64% of those who attempted to purchase flood insurance as Hurricane Irma headed for Florida were unable to do so. An on-going, comprehensive statewide initiative to spur awareness, involvement, and action by Floridians in a new culture of hurricane-safety. To download hurricane safety checklists or watch the 2018 television special visit GetReadyFlorida.org. 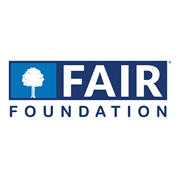 The FAIR Foundation, a 501(c)3 non-profit organization, was conceived to create safer, stronger and more resilient communities by educating consumers on the risks of water, wind and other natural disasters, promoting wind and flood mitigation and reducing uninsured risk. The Foundation’s work enables and promotes practical solutions and protections by bringing consumers together with the best and brightest in industry and academia. Visit fairfound.org for more information. You’ve most likely heard of supplemental health insurance. It covers certain treatment and care that a traditional policy doesn’t. Think AFLAC. A similar problem exists when it comes to insuring your home; a typical homeowners policy doesn’t cover everything. In fact, it may not cover some critical expenses that arise immediately after a hurricane. After an uncommonly active 2017 season, it’s tremendously important to know how much you’re covered, as each day that passes since the last hurricane brings us is one day closer to the next. StormPeace is supplemental coverage that offers peace of mind to Florida homeowners and renters – they can know they’re covered for evacuation expenses, tree and debris removal, and replacing spoiled food. They can also use StormPeace to pay their deductible. We all take a risk living in the Sunshine State, where our entire population is vulnerable to hurricanes. We choose to live here for the beautiful beaches, breathtaking sunsets, and pleasant weather that comforts the soul. When specifically tailored for homes likely to be affected by hurricanes, this kind of coverage can help take much of the worry out of our risky living situations. While Mother Nature can’t be controlled, the pointless spending of unnecessary out-of-pocket insurance expenses certainly can be.